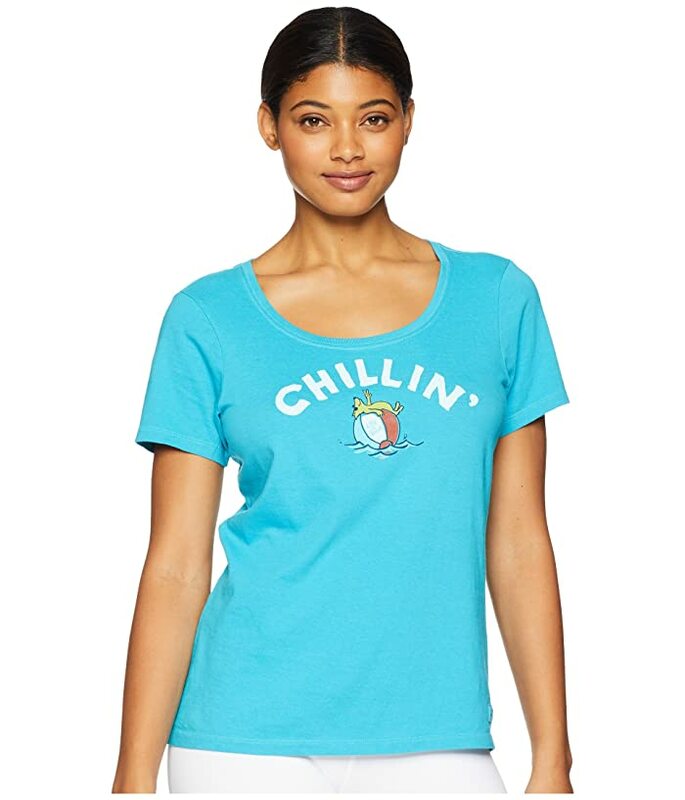 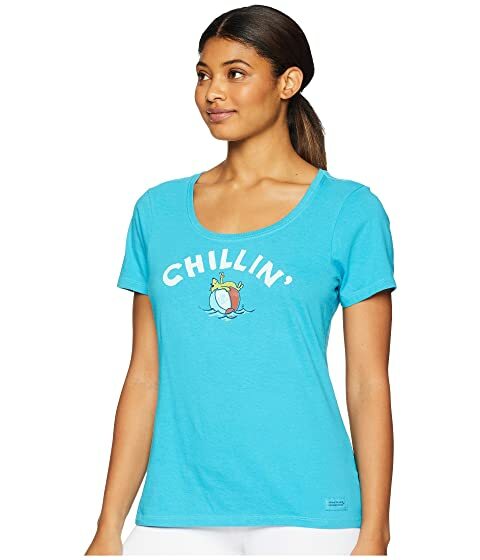 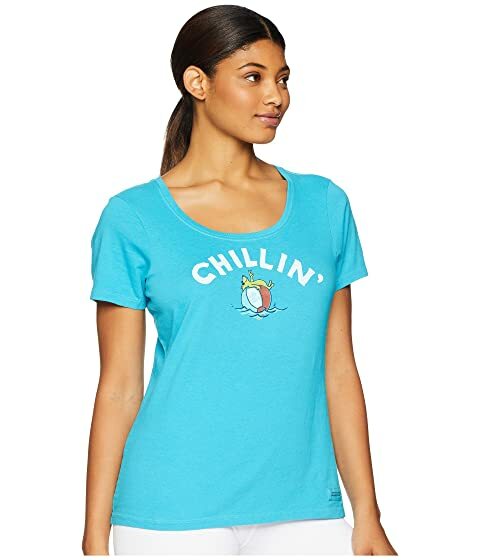 Sometimes it's better to drift wherever the beach ball takes you in this Life is Good® Chillin' Beach Ball Crusher Scoop Neck T-Shirt. Do what you love. Love what you do.® patch at lower left.